I love growing vegetables and fruits but due to space as we do not have land outside our house, we can only grow them in pots. But things changed when school brought us to learning journey at hydroponic farm where we see vegetables and plant are grown in liquid nutrient solutions rather than in soil. My gardening hobby was inspired by my mum's friends @wokkingmum and @smallsmallbaker as they both planted many edible vegetables and fruits at home such as cherry tomato bittergourd, ladyfinger, spinach, edamame and etc. A few weeks ago, Granny bought us to TASTE Restaurant located inside ibis Hotel at Bencoolen street for lunch.We ordered 2 different set lunch to share. Me and mum order their Taste Tapas Set ($17.00) which we can choose 3 items from their list. Like what you see above, we get the Chicken Rice, Hokkien Mee and Laksa which are all the well-known local Singapore hawker food. My mum used to prepare fancy bento lunchbox for me when I was much younger. But now when I grown up, she hardly assemble my food into these cute bento box which she thought I might not like it anymore. 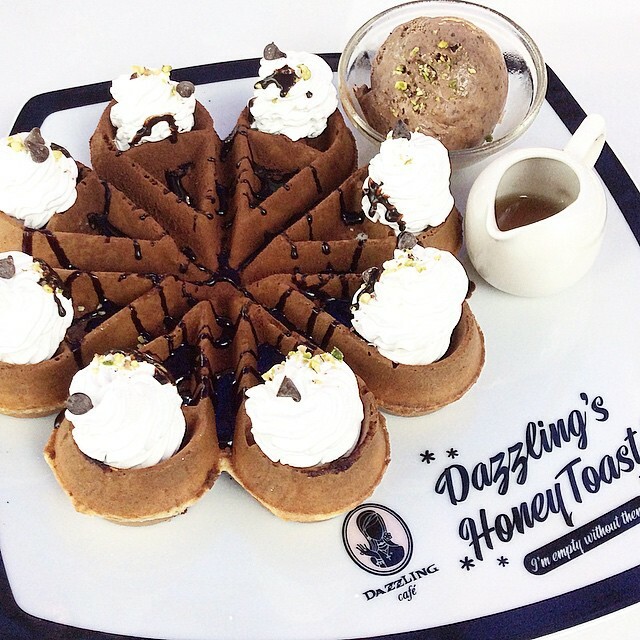 This is the Valrhona Chocolate Waffle (S$20.50) from Dazzling Cafe. The waffle taste good with fragrant chocolate, crispy outer layer and chewy mochi inside that serve with a scoop of chocolate ice cream with it. However, one thing I don't like is there too much of whipped cream on it. 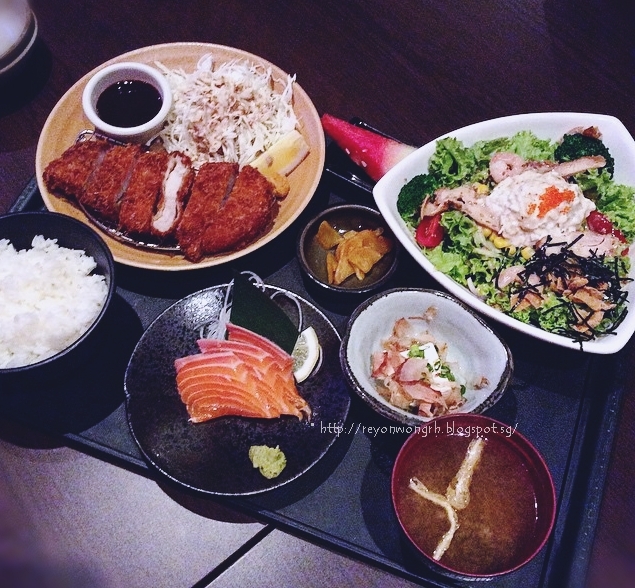 Last Sunday, my grandma treats us to a Japanese lunch at Watami which located at ION Orchard. After looking through the menu, we decided to order a set meal and salad to share among the three of us. The set meal comes with steamed rice, salmon sashimi, chawanmushi, tofu, pork cutlet and watermelon at $29.90 (without salad) which is very worth it. During June School Holidays, we went to Bedok Jetty at East Coast Park to try our luck to catch our fish for dinner. (^ - ^) It is very crowed as we went during the morning. Everyone is waiting patiently for their catch. MUST TRY! 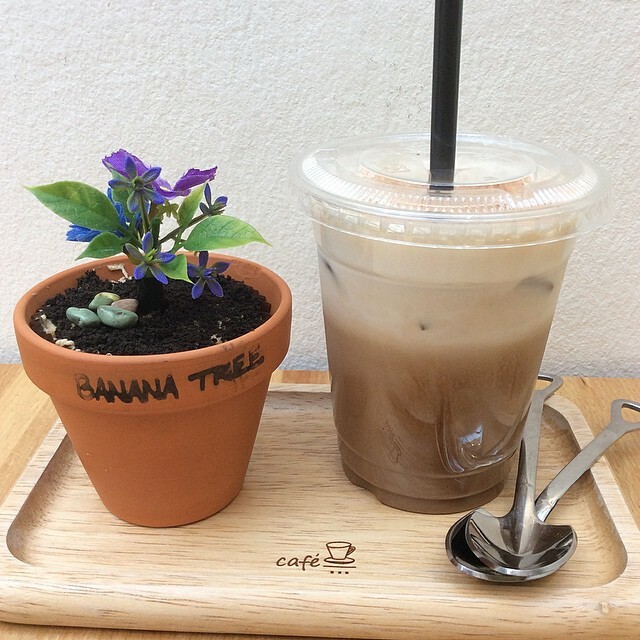 This is the Flower Pot Pudding at Banana Tree. It is nice and delicious with soft pudding texture. We order the Espresso flavour for the pudding and it taste just like Tiramisu! Besides, we also try the Iced Mocha and its taste very bitter but i still like it.